This week has been a complete whirlwind for me. It all started last Saturday with the news that I need to move house after more than 20 years living in the same place. That sent me into a spin with flat hunting and work taking up most of the week. Throwing three beauty events into the mix set me a few challenges but I’ve survived it through and having put in an offer on a new place to live I’ve found a bit of head space to sit down to tell you a bit about the first event I attended this week which was the KGA Summer Show. KGA are PR for some of the most amazing brands and so expectations were high as I arrived at the Ice Tank, the event space that was to be the venue for the show. There was a warm welcome as always as well as an open fire for us to gather round. 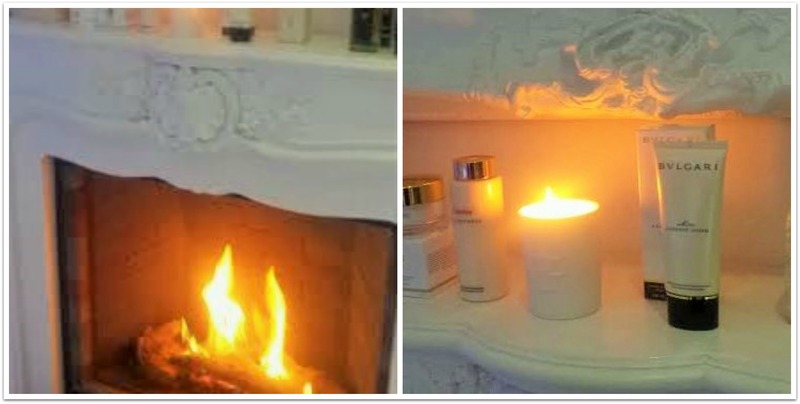 The mantelpiece was the place where all the home fragrances, candles and oils were displayed. 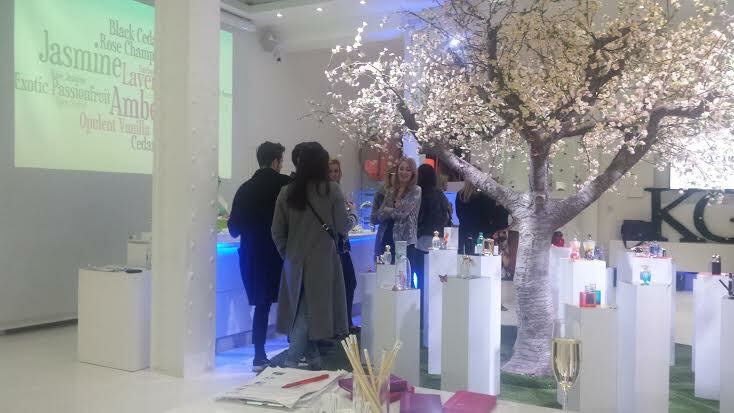 We were treated to a run through and some history behind all the summer fragrances and I was in heaven. 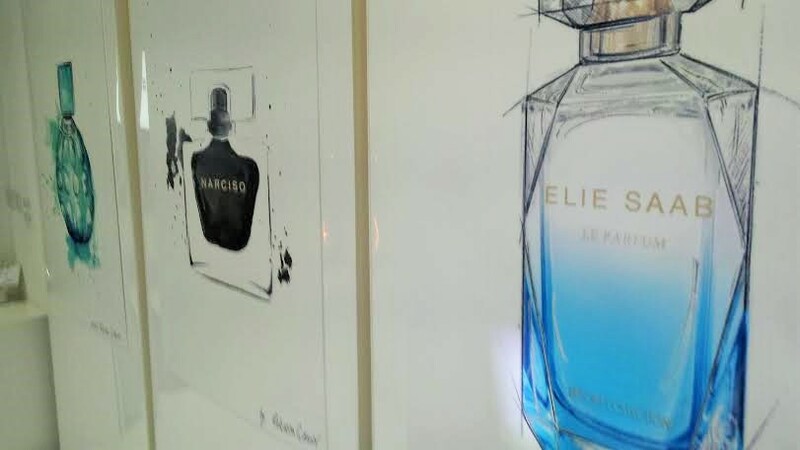 As I was talked through fragrances from Bulgari to Terry de Gunzberg and from Issey Miyake to Jimmy Choo I found some of the scents were already familiar to me like the stunning Elie Saab Resort Collection that looks like a glimpse of the Amalfi coast and the opulent Van Cleef & Arpels Aqua Oriens which I’ve reviewed here. Others were tantalising and new and sometimes surprising. 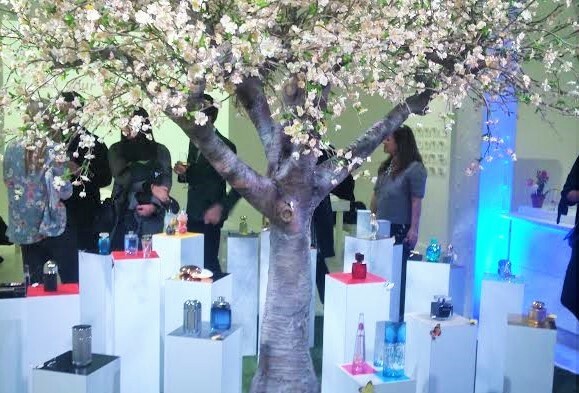 Each new scent was introduced to me with a potted history of the creator or designer and the concept behind it. It was a little bit like being in a lab with a great story-teller. The haunting story of the man who is Serge Lutens and his Black Collection Religieuse will stay with me for a long time. Think dark tales with a hint of incense. 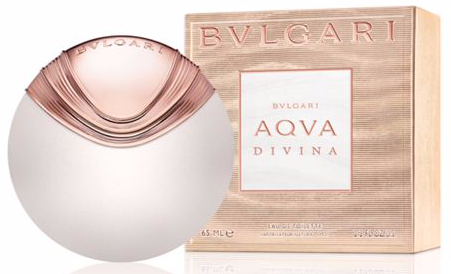 I’m such a sucker for beautiful packaging that I fell for the story and concept behind Bulgari Aqua Divina even before I smelled the truly divine Bulgari Aqua Divina. The jewel bottle pays tribute to Boticelli’s Venus with the bottle cap shaped to be the perfect shell. The fragrance has salty bergamot and pink ginger, magnolia and solar quince with bees-wax and amber to give a heady scent reminiscent of sea, sun and summer. 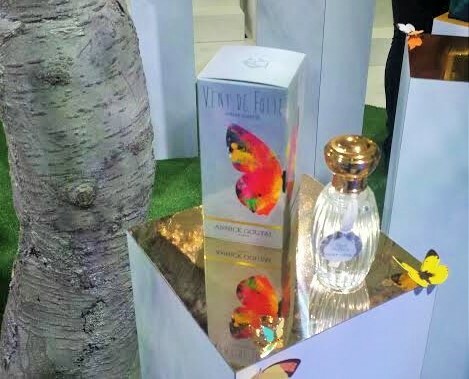 Van Cleef and Arpels Reve Enchante – a version of the original aimed at a younger audience with a sweet candy-like edge. Agent Provocateur Fatal Intense an intense, seductive and sensual red version of the black original with liquorice, spicy chillies, lotus and blossom, with black leather, vanilla and amber – a potent mix. Annick Goutal L’Ile Au The – the quirky smelling elegantly presented delight from Annick Goutal that contains mandarin, green tea, osmanthus and white musk. I have to say it smelt like a cup of green tea! 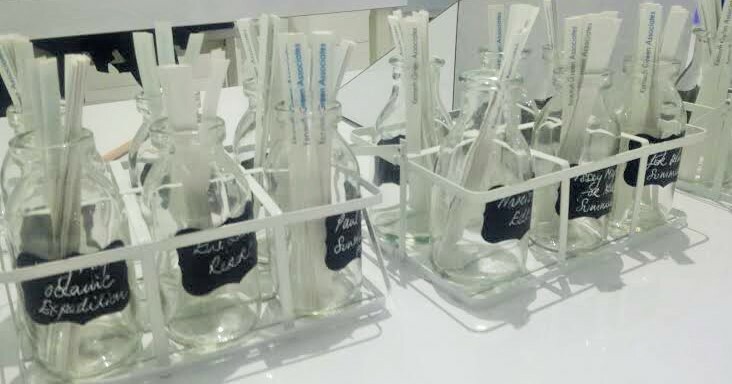 Some of the fragrances are yet to launch and one was even embargoed! I hope that I haven’t captured it in my photos of the show or I’ll be in trouble! 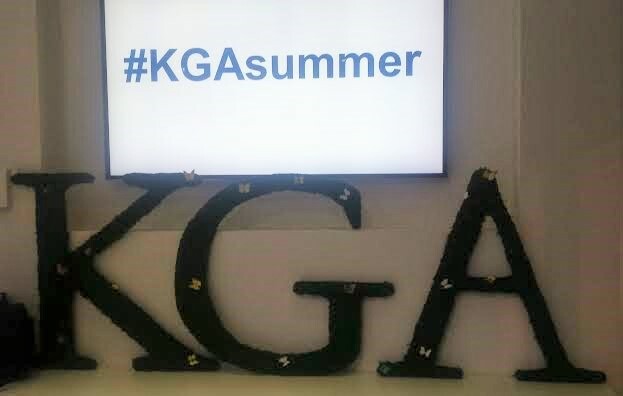 It was such a lovely evening with such delightful discoveries set amid a wonderland of blossom and butterflies – that was the KGA Summer Show! Hope you liked this little glimpse into what I selected as my favourites and apologies if I’ve missed any of your favourite perfumiers. I’m sure that I’ll cover them in the future! What fragrances are you most excited about trying? I’d love to hear.